Denim gets down this Fall, with different patterns, prints, textures, colors and finishes. Dare I say...anything goes? A really fun trend is coated denim which gives denim different intensities of shine depending on what kind of resin or wax the denim is coated with. The wax coating can also give denim the same look and texture as leather, making coated denim a good alternative if you aren't into supporting leather goods. You can incorporate coated denim jeans into your everyday work look by pairing it with a blouse and blazer or t-shirt and cardigan or jacket. Dress these denim jeans up at night with a fancy top, dressy heels and some jewelry. How fun are these finds? How do you wear your coated denim? 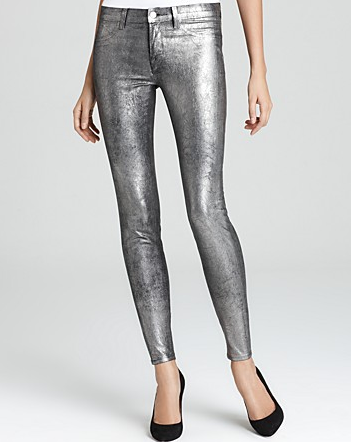 Love the metallic denim, gorgeous. Great blog, want to follow each other? Mmm - the first pair is dreamy! 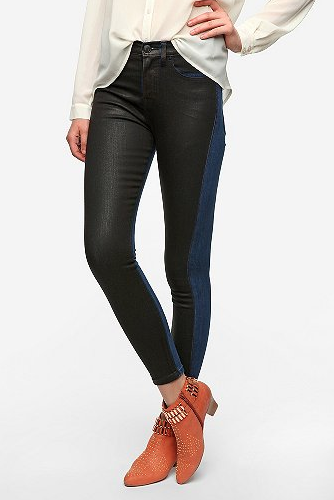 love the coated denim trend! great post! Love this trend, and I love these pictures too! There's a new post up on my blog and I'd love to hear what you think of it, so feel free to stop by! wow some of these look painted on! I love the coated denim! These are all so perfect! Just found your blog and am your newest follower on GFC! Check out my blog if you'd like! Thanks:)! 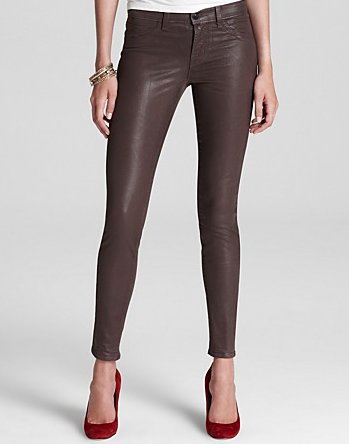 I am digging those metallic pants! Please stop by my blog and leave a comment on my latest post!